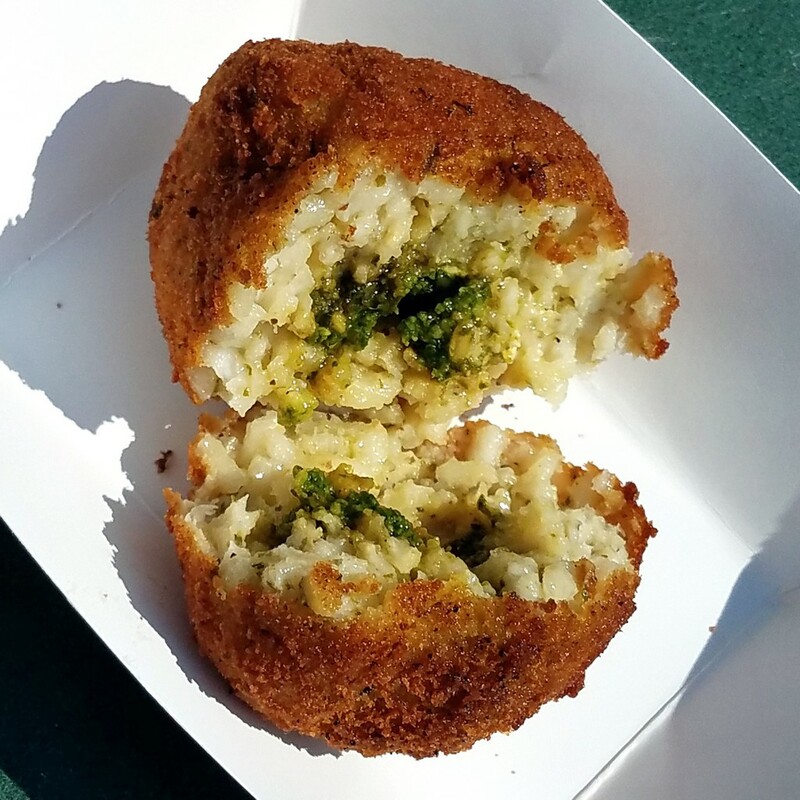 Take all the delicious flavor of Italian food, fry it into a perfect ball easy for shopping and snacking, and you have the risotto ball. 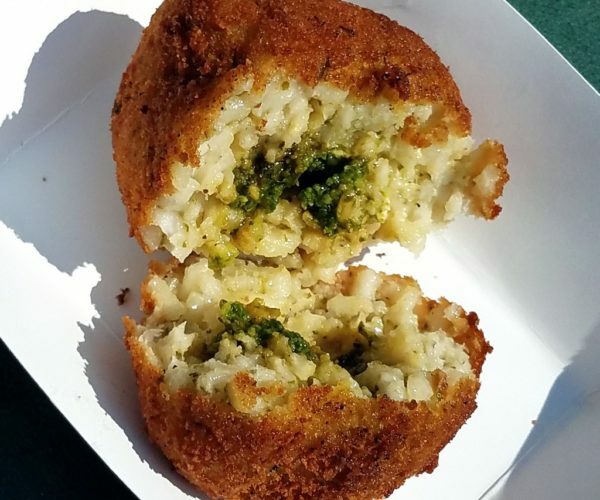 The diRiso family specializes in a variety of Italian foods, but are best-known for risotto balls. Why? diRiso Risotto Balls are meticulously crafted and made entirely from scratch. 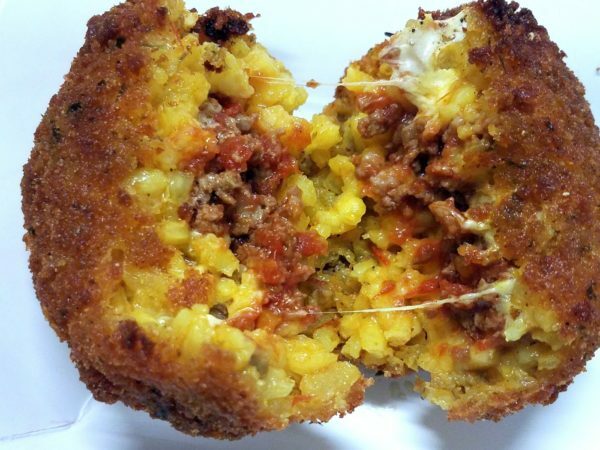 After preparing a silky risotto, each ball is stuffed with smoked mozzarella and one of their intensely flavored sauces. They go into a light batter and breadcrumbs before being fried to a crisp. This summer these Italian geniuses are sharing their full menu at the Grand Bazaar NYC. 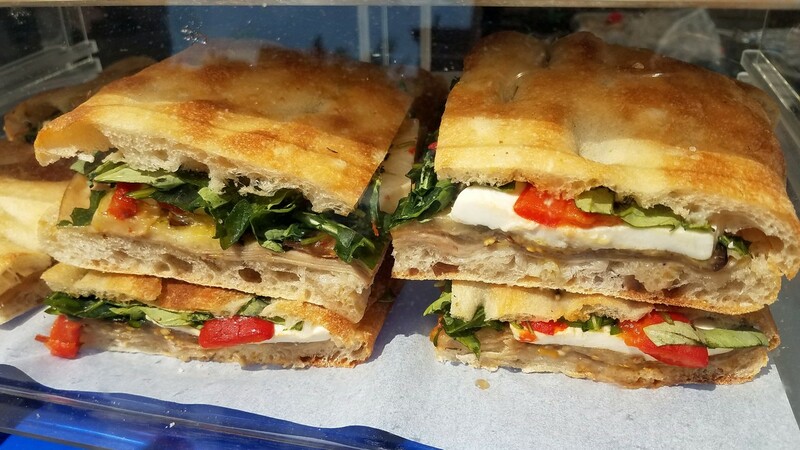 This includes fresh mozzarella, pesto sauce, three types of lasagna, tiramisú, focaccia bread and more. That’s amore! Q: How and when did you get started with vending? A: My father, Riccardo, was always great in the kitchen and one day, around 7 years ago, the market director of our hometown of Hastings on Hudson suggested vending at our local farmers market. 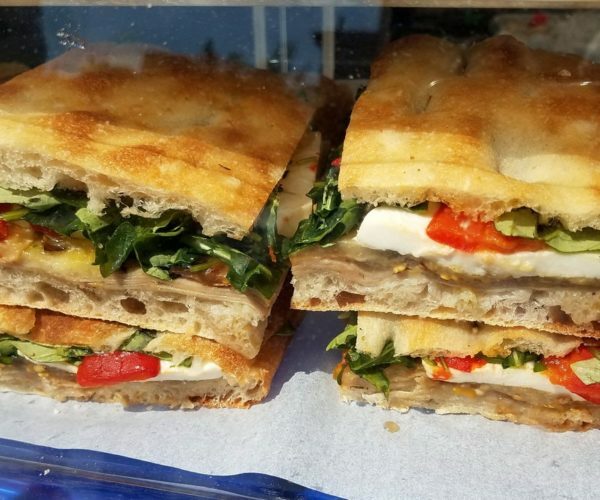 He set up a side business called Lasagna Preziosa and began selling lasagna, focaccia bread and eventually rice balls amongst other foods. After developing quite a reputation in our town, demand for his food grew. My dad’s full-time job working in gem identification was getting more intense and around 2013 I began to learn the recipes and help with production. Sometime around the beginning of my senior year of college I came up with the idea to start diRiso Risotto Balls, and create an Arancini-focused business. Q: Which celebrity would you like to buy something from you? A: Danny Meyer, one of NYC’s best-known restaurateurs, has shaped the way I conduct business. Q: Do you have a favorite food vendor? A: The team at Burmese Bites are incredibly good at what they do. 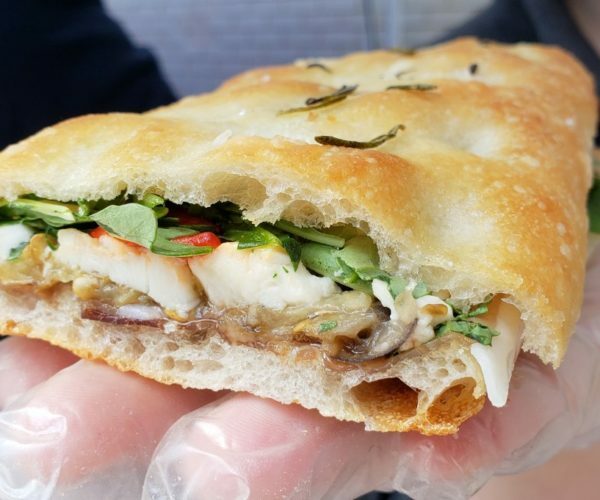 I first tried them at the Queens Night Market and was blown away! Q: What is your favorite market in the world? A: My favorite market right now is Grand Bazaar NYC! It has incredible potential and is unlike any other market in Manhattan. It seems like the standard for excellence is constantly being pushed forward. Q: Why are you so passionate about markets? A: Attending markets and events makes me feel alive. From the ups and downs, at the end of the day I appreciate every moment. I’m constantly being surprised at these markets, and the confirmation that we’ve been getting is beyond what I ever expected. Q: What guilty pleasure to you have? A: Swiss chocolate truffles would be at the top. Q: What is your favorite thing to do in NYC, and why? A: Walk the NYC streets and observe. The city is very inspiring to me. Q: What is your favorite (NYC) restaurant? A: I love what they’re doing at Numero 28 Pizzeria.